Rhubarb Fudge - Being from the heart of the famous Rhubarb triangle we thought it would be a excellent idea to produce a Rhubarb fudge that really shows of the true delightful taste of this amazing plant, taking the decisive champagne flavour of Rhubarb and blending it with the creamy taste of our traditional fudge makes a winning combination. Ingredients list: sugar, MILK, glucose syrup, palm oil, butter, salt, flavourings, E102, E142, E122. 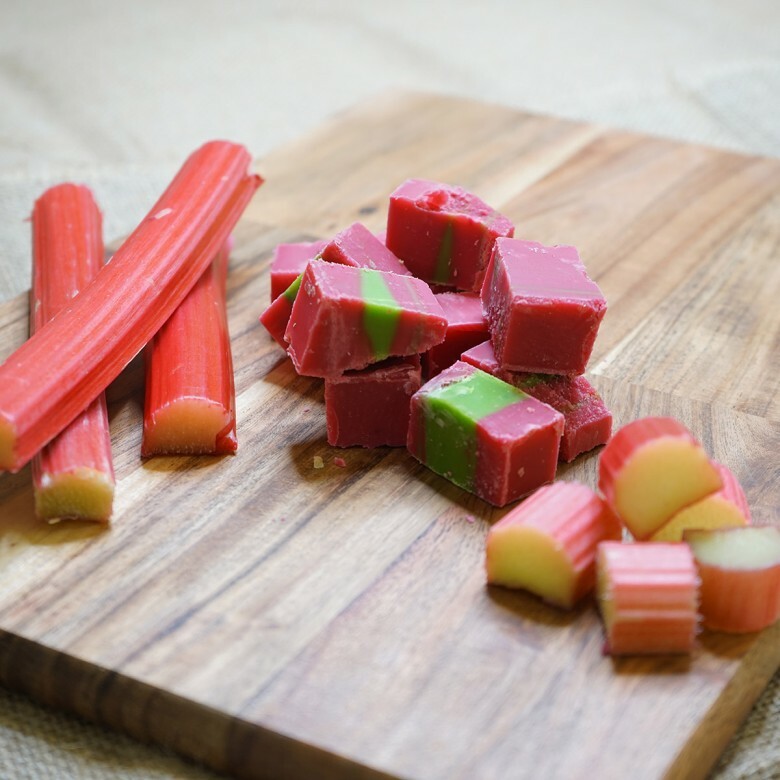 Rhubarb Fudge is available in two sizes; a 150 gram bag or a 450 gram box.